Home » News archive » IRREVERSIBLE…n." 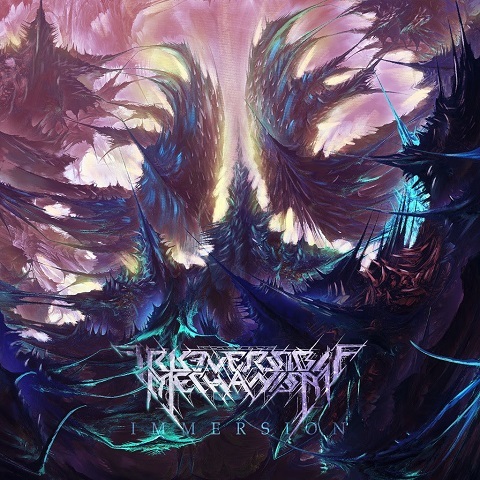 Progressive death metallers, Irreversible Mechanism, are streaming their upcoming new album, titled Immersion, in full via Metal Hammer. The ten track album will be released via Blood Music this Friday, September 14th. Immersion is available to pre-order here. Hailing from Minsk, Irreversible Mechanism, recorded the follow up to 2015's Infinite Fields in their hometown, with drums being recorded remotely by Dan Presland (Ne Obliviscaris) in his native Australia. By their own admission, the new album marks something of a turning point for the three-piece; a commitment to following their own unique creative path has led them in - many ways - away from their debut release. The album's concept was spawned from an unsettling sense of dissatisfaction and curiosity, long before the lyrics were written to shine a light on the road Irreversible Mechanism were heading down. Throughout the album, the band have constructed an alternate reality, forming an entire world threaded together by their progressive leanings. Centered around survival, freedom and conflict, the intensity of the themes are matched only by the music that conveys it.